Yep, you read that right — 802 Online is going offline. I started this blog in August of 2004, and brought it to Seven Days the following April. I envisioned 802 Online as a clearinghouse for information about Vermont blogs. For years I diligently kept a list of Vermont blogs, and regularly read each of them to keep up with how other local writers, artists, journalists, activists, businesspeople and techies were using this new medium. That was pretty easy to do back in 2004. There weren't many bloggers here then. I organized a Vermont blogger meetup in October, 2004, and just three people showed up. Three! But blogs have caught on since then. Today it seems like everyone's got one. And it's become impossible to keep up with them all. So I'm giving up. Sort of. As of today, I will no longer be posting content to 802 Online. 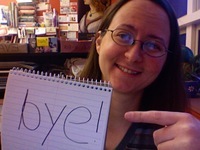 But I'll still be writing for — and editing — Blurt, the new Seven Days staff blog. We modeled Blurt after Slog, the staff blog for The Stranger in Seattle. All Seven Days staffers can contribute, so there will be a constant stream of new material. On Blurt, you'll find media criticism, news from local bloggers and interesting clips from YouTube alongside weird gag gift items that our art director likes. We're excited about it because we've been emailing this stuff around our office for years — now we can share it all with you. I'll be abandoning my Vermont blogroll, but I've begun a Vermont Blog Directory, which includes all of the sites I used to list on 802 Online, plus any that anyone sends my way. In other words, I'm still keeping track of Vermont blogs. I'm just not reading them or writing about them as much as I used to. I just don't have time anymore. Not only am I part of a team that's trying to shepherd the state's largest weekly newspaper into the digital age — I'm also the parent of a 2-year-old... who has another sibling on the way. Thanks, everyone, for reading. Hope you like Blurt. Over and out. Kluster is online. Not much there yet, but you can go check it out. This is the outfit behind the Burlington Brainstorm from a couple weeks back. They're headed to the TED conference next week. Check out this audio slideshow I produced this week, with help from Andrew Sawtell, one of our designers (who is also a photographer). It accompanies Pamela Polston's cover story about photographer Näkki Goranin and her photobooth obsession. Näkki owns a stunning collection of discarded photobooth snapshots. She's got about 3000 images, a fraction of which made it into her book, American Photobooth, just released from W.W. Norton. Some of the others are on display through March at Pine Street Art Works. If you like found art, you'll love this exhibit. We're lucky to have it here in Burlington, so go see it while you can. Here's a peek. I went to the Burlington Brainstorm last night, to check out kluster, the new collaboration application from Ben Kaufman and crew. I'm a homebody, so I went early. I was there from 7:30-8:30 p.m., so if the party got going later on, I wasn't there to see it. But I was able to test the system, and talk to Ben and some of his design team — including the curiously named Mat Poprocki. Yes, that's really his name. 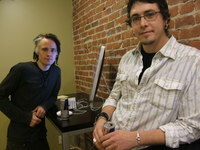 The first photo is Ben, the second one shows (from left to right) designers Mat Poprocki and David Hitchcock. This was definitely worth an hour of my time, if only because the set-up was so swanky, and I got to play with something new. Although the "free drinks" were actually drink tickets redeemable at local bars. Too bad. They're not launching kluster until February 18 — this was actually the first time the system was live and open to the public for testing. "Pre-beta-testing" they said. And it's true — a few things didn't work, and I found a typo, but what I saw was still pretty cool. They asked that I not say too much about how the system works since they're not going public for a week or so, but I can tell you that it's an application that enables group collaboration around ideas. "Anything better served by asking a group," says Ben. Ben, by the way, is 21. He dropped out of Champlain College and is working on this full-time. He's got 12 people working with him — they got funding to develop this from outfits like Vermont's own Fresh Tracks Capital. In other words, they're exactly the type of business that we saw at Vermont 3.0 a couple weeks ago. They were asked to take kluster to the TED conference (Technology, Entertainment, Design), which I've never heard of — possibly because I'm not "one of the 1000 most remarkable people in the world." The gathering takes place at the end of the month. According the the schedule, speakers include Al Gore, Amy Tan, Dave Eggers, Samantha Powers and oceanographer Robert Ballard — the guy who discovered the Titanic on the bottom of the Atlantic. The kluster crew will be there to use their collaboration tool to help these thinkers and doers share their collective wisdom. It'll be interesting to see what they come up with — if it takes off there and people actually use it. Good luck, guys! You can still get a sneak preview tonight (Saturday) starting at 5 p.m. in the offices above Stone Soup and Bueno Y Sano on College Street in Burlington (the corner of College and S. Winooski Ave.). 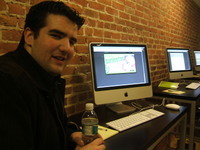 Remember Ben Kaufman, the Champlain College student of Mophie fame? He's launching a new product soon called kluster, "a web-based collaboration and decision-making platform." Their publicist called me the other day to pitch it as something we should cover. From what I can tell, it's an application that allows people to bring their ideas to the community online, and then use the feedback they receive to refine the idea. The publicist says the idea is based on model Kaufman used at Mophie. They're launching this thing at an upcoming Ted conference, but before they do, they're looking for ideas to test. 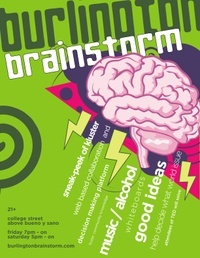 So they're hosting a Burlington Brainstorm this weekend in their office on College Street, above Bueno Y Sano and Stone Soup. Starts Friday at 7 p.m. until whenever, and continues Saturday starting at 5 p.m. to whenever. They promise music, whiteboards, wii and free drinks. I'm hoping to go for a bit one of those nights. Should be interesting. Five of us from Seven Days are in San Francisco right now, at the AAN Web Publishing Conference. I'm getting lots of good ideas, and actually saw some of the city after we got here on Wednesday. I couldn't really enjoy our tour, though — I had a ton of work to do. I wrote and sent the 7D NOW yesterday from our hotel. Then yesterday afternoon, Eva Sollberger and I did a presentation on how to do editorial web video. But that's all done now. I had a glass of wine last night and felt like I was going to pass out. In other news, we launched our iSpy Facebook widget yesterday. I'm psyched we finally got it up, and curious to see how that goes. Thanks to Efe Cimrin for getting us started on it — Efe actually developed a prototype, but we didn't end up using the one he made. Thanks anyway, Efe. You rock! Now I'm going to enjoy the city for a couple hours before the next session. 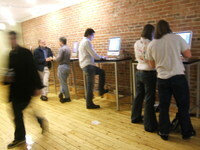 I can't believe I haven't mentioned this yet, but the Vermont 3.0 Creative/Tech Career Jam on Saturday really rocked. Even Governor Jim Douglas got into the act! Here's a picture of my most memorable moment from the day — it's a shot of the guv attempting Joan Jett's "I Love Rock and Roll" on Guitar Hero. I'm the brown-haired chick in the tomato colored sweater in the background. 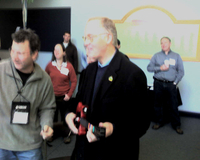 Thanks to Patrick Martell of the Vermont Software Developers' Alliance for the picture. The guy standing next to Governor Douglas is Dave Contois, of Contois Music. Dave teaches kids to play guitar using Guitar Hero. He's one of the only music educators in the country who's harnessing the popularity of the game to get kids to learn instruments. Pretty amazing stuff, actually. Dan Bolles' story on him is the most popular article on our website this week — it's getting a lot of traffic from reddit.com. Dave Contois was showing the Governor his set-up shortly after Vermont 3.0 opened, around 10 a.m. I happened to be standing there because I was introducing Dave's presentation on his teaching techniques later in the morning, and I was coming over to introduce myself. I saw the governor talking with Dave and said, "You should try it." He shook his head and said "no, no, not me." But then Dave Contois was like, "No, you HAVE to try it. It's so EASY. I'll set it up for you. Here, you HAVE to try it." The guv couldn't refuse. He was a good sport. He gave it a try. He hit a few notes. But ultimately, the game interrupted him to say "Song Failed." Ouch! In all fairness, that happened to me the first time I tried it, too. I wish he'd taken another crack at it, because it takes a few minutes to figure out how to work the guitar, but he was done. "That's why I didn't want to try," he said sheepishly. "I guess I'm not a guitar hero." But you could be, Governor, you could be! That's when Dave Contois' 7-year-old son Trevor said, "Let me show you how to do it." The kid set the game to expert and — of course — played it flawlessly. A bunch of Vermont blogs have covered the event in one way or another. Bill Simmon was there. Julie Lerman spoke at the event and put up a few posts about it. Here's a local PR guy who was impressed with our use of social media to promote the thing. Here's a short report from Matthew Davis, the dude who drew the spaceman. Here's a more detailed report from Larry Keyes, of the vtSDA. There was one theme that emerged time and again. Namely, sheer amazement at the number of interesting companies exhibiting and the fact that most were not well known. My job puts me in touch with optimistic entrepreneurs and high-growth Vermont companies every day so its not news to me that there are some fascinating things going on in the state. Increasingly though, when I read mainstream Vermont media I feel like my daily experience is a parallel universe to a Vermont of failing companies and fleeing young people. I looked in vain for an article about the Career Jam and the exhibiting companies in the Free Press online on Sunday morning but did not see anything. That’s unfortunate … and typical. Yup. Although honestly, I think the Free Press didn't report on it because Seven Days was so heavily involved in organizing it. I didn't see him, but I heard that their new publisher was there talking to people, and they had a table at the event, so they definitely knew about it. They actually wrote a short article about it on Friday that appeared in the back of section A. Not surprisingly, it mentioned that there would be media companies like the Burlington Free Press at the event... but did not mention Seven Days. Ha! Here's Eva Sollberger's video wrap-up, for those who missed the event and want to see what it was like. And from the traditional media — here's a report from WCAX and a preview from VPR. There will definitely be more of these shindigs. Thanks to everyone who made it possible! Thanks to everyone who expressed concerns about my parents. Turns out they're fine. Better than fine, actually. They were staying on the 7th floor, so none of their stuff was damaged. They got it all back. And they got to spend a free night in the nearby Bellagio, which, they tell me, is very posh. Fire at Vegas Monte Carlo! The Monte Carlo Hotel and Casino in Las Vegas is on fire. There are flames leaping out of the top of it. Looks pretty bad. I'm watching it on my laptop in my office. I'm posting about this because I just got a phone call from my mom, who wanted to let me know that she's ok. She and my dad, and some of my aunts and uncles are in Vegas this week, and are all staying at the Monte Carlo. They're fine, apparently. They've been evacuated from the casino, are standing nearby. The pictures on CNN.com are pretty scary. I'm glad they're all outside. Their stuff might be toast, though. Next week, I'm headed to San Francisco with three of my co-workers for the Association of Alternative Newsweeklies' web publishing conference. Eva Sollberger and I are giving a presentation on how altweeklies can integrate video into their editorial operations. 1) To excuse the fact that I've been neglecting my blog. 2) To ask for input, should you have any. What do you like or dislike about the way Seven Days does video? We're going to be citing examples of great newspaper videos that we like. Any recommendations?